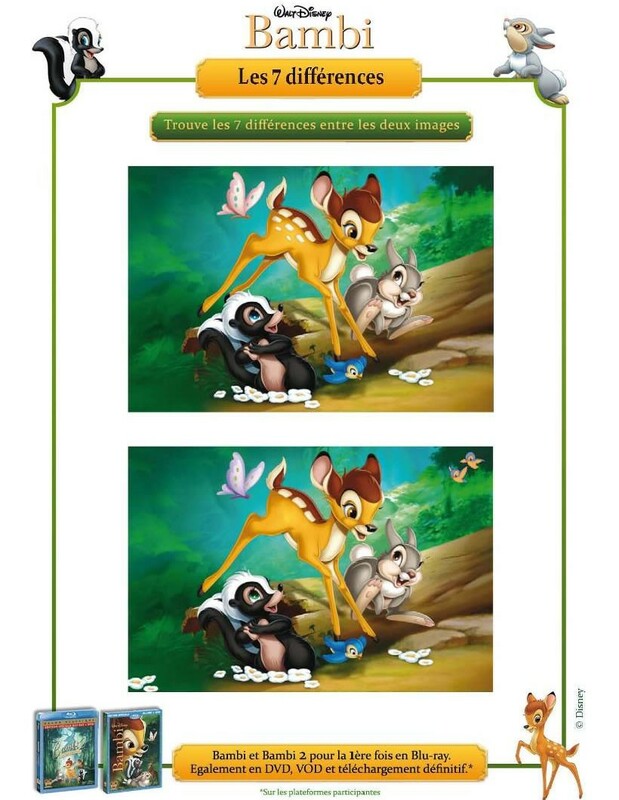 Can you find the seven differences between the two Disney Bambi images below. You can also print the page and circle the items that are different. Enjoy more Find the difference games from Hellokids.